From Japan to the World! 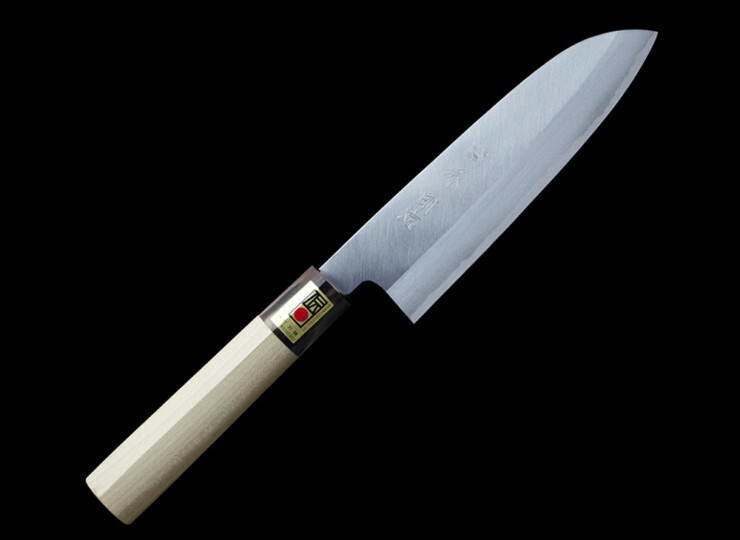 Santoku Knife is called “can-do-everything knife” and it has good sides of both of Japanese knives and European knives. The blade is thin and it can cut meat and vegetables. 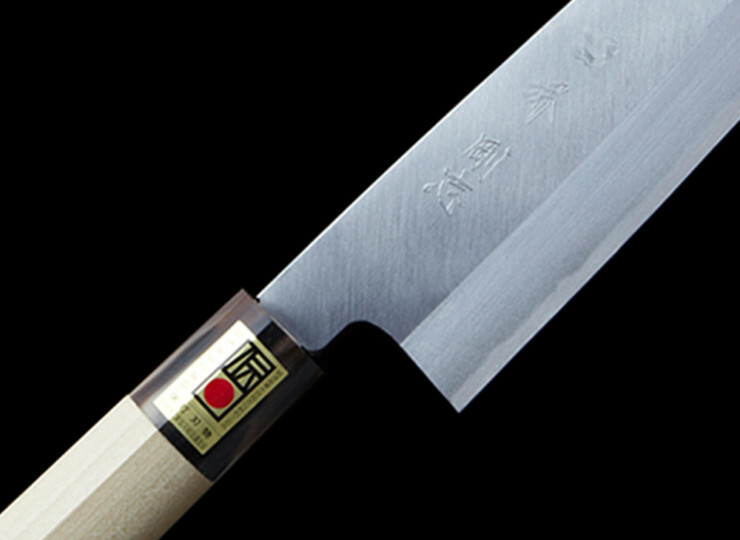 White #2 Steel of Yasugi is used in the blade which is commonly used for professional chef knives and it has very fine sharpness. Please dry the knife right after washing it. If you keep it wet, it will be oxidized. – in accordance with US and International government regulations. 2. Items may have unnoticeable flaws from the making process. 3. Product size may differ due to being hand-made. 4. Handle color may differ from the picture as they are timber. 5. PC monitor specs and the shooting environment may also affect color. 6. Import duties, taxes and charges are not included in the item price or shipping charges. 7. These charges are normally collected by the delivering freight (shipping) company or when you pick the item up. 8. We will not cover any postage costs for returned products. 9. Hand-made items may take a couple of months to deliver due to making process. If you’d like to know how long it might take, please don’t hesitate to contact us. We can only accept PayPal payment. 2. Items will be dispatched from Japan and take approximately 3-5 working days. However this may vary depending on location and customs of your country. *NOTE: We can only deliver to your registered address on PayPal. 28,000 JPY (maximum 30.0 kg). 1. We do not accept returns on custom-made or engraved items. 2. We cannot receive returns because of the size difference on custom-made items. 3. Refund will be given as money back only if the description is quite different from the item’s status. If you would like to return the the item, please cover the shipping fee. 4. Items can be returned within 14 days of the receipt, but the item must be in original condition with original packaging. This knife is incredibly Sharp. Best knife i’ve ever have before. Copyright © 2019 Japan Exporters. All Rights Reserved.